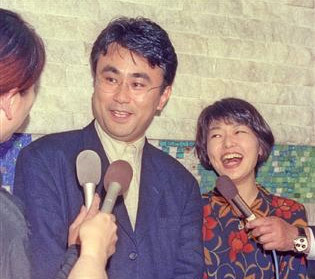 Top screenwriter Mitani Kouki (49) and popular actress Kobayashi Satomi (46) took the entertainment world by surprise with today’s announcement of their divorce. In a statement faxed to the media, they said they filed for divorce yesterday, ending 15 years of marriage. They said that many minor differences in opinion and values had accumulated over the years. No doubt their mutually busy showbiz careers also put a strain on their relationship. Sources close to the couple confirmed that they had grown apart in recent years and their lack of children had also played a part.